This is a great post from Stuart Edwards from Am I Nearly There Yet? He’s been travelling around the world since 2011 with his girlfriend Eloise! Read more about them over at their travel blog. The large country of Canada has many things of interest for visitors; vibrant cities and towns, beautiful countryside, stunning natural attractions, a mixed culture and heritage, plenty of opportunities for some epic travel photography and more! It is also a great destination for people who are into skiing, and there are many world-class ski areas all across the country. 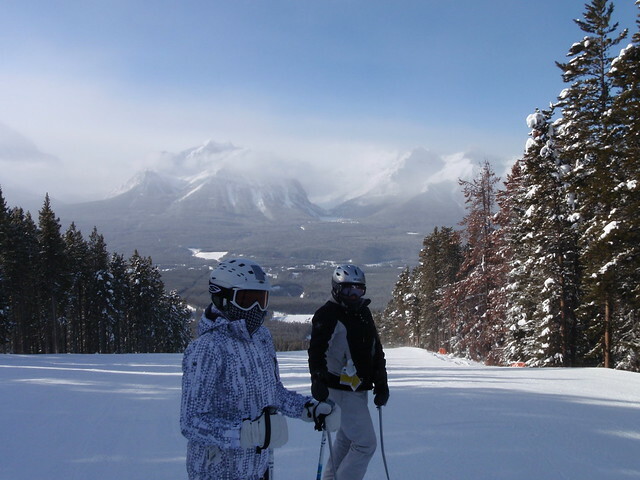 Banff National Park is one of the favourite places for excellent skiing and snowboarding in Alberta. Containing the majestic and awe-inspiring Rocky Mountains, skiing here is truly a delight. Fresh powdery snow combines with dazzling sunshine … head to one of the “Big Three” for some of the best skiing on the planet! Lake Louise Ski Resort, Sunshine Village, and Mount Norquay are all but guaranteed to make any skier thrilled. Other top spots in Alberta to enjoy the snow include the Marmot Basin in the stunning Jasper National Park, Castle Mountain, and Fortress Mountain. The forests offer excellent opportunities for snow shoeing and nature spotting and there are also some terrific snow tubing parks. Heliskiing is popular, where you get deposited at your starting point by helicopter and then make your way down on your skis. British Columbia is often said to be one of the ultimate skiing and snowboarding destinations on the planet. And with good reason too. There are more than 10 major ski resorts and a number of smaller ones too, with the bulk of resorts found near the coast, in the middle of the province, or in the south. With slopes for all ability levels, a wide assortment of accommodation to meet various budges, and good après ski activities, find out for yourself why so many people rave about BC’s ski scene. 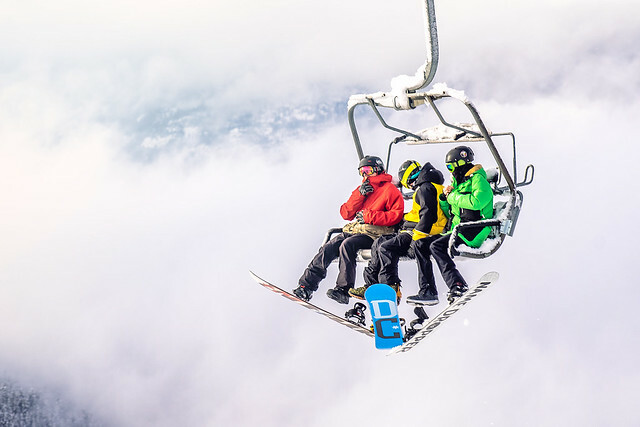 The coastal area is home to the marvellous Whistler-Blackcomb, one of the highest ranked places for ski enthusiasts. For fine powdery snow don’t miss the beautiful Whitewater Ski Resort. You can also enjoy night skiing, heliskiing, cross-country skiing, and Nordic walking. With a long snow season and great conditions, Quebec offers excellent skiing, snowboarding and other snow sports all within easy reach of the lively and fascinating cities of Montreal and Quebec City. You can combine your passion for adventure with some cultural excursions and city sightseeing. The main places for ski lovers are around Quebec City, the Laurentians, Charlevoix, and the Eastern Townships area.